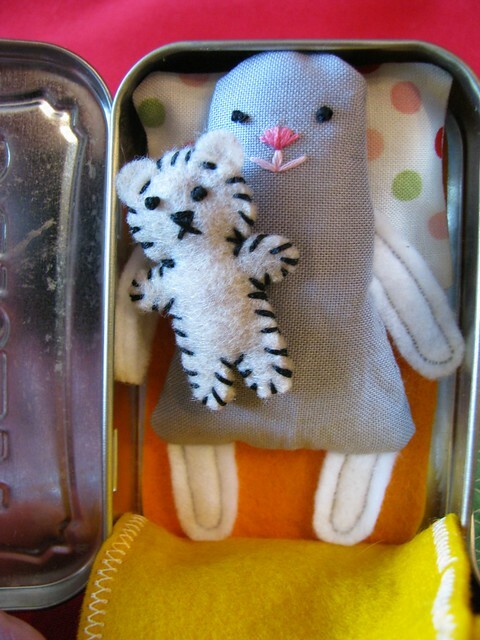 I thought I’d share some of the little “quiet time” toys I’ve been making. 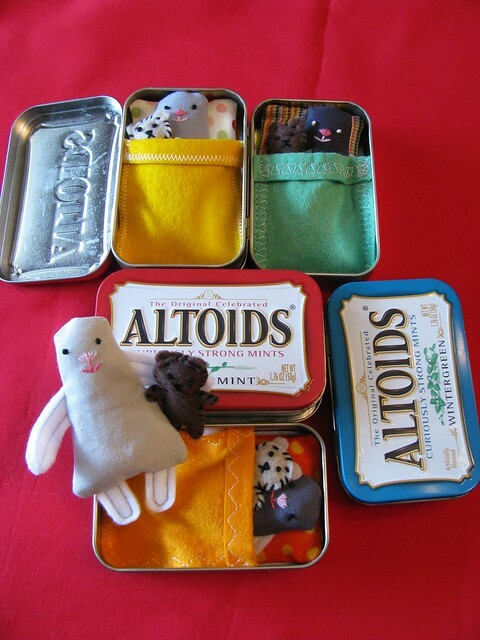 I’m calling these “Altoidies”, but they’re supposed to be little mice that live in Altoids tins. I left off the ears after I realized they’d likely get pinched in the tins when closed. (Maybe I made their legs too long.) Next time I’ll either make shorter legs and add the ears, or I’ll make the bodies out of really wild colors so that they look like happy little monsters, not mice. I think they’re adorable as they are, so I’m leaving them this time. You can get the pattern from mmmcrafts on Etsy. Of course you’ll want to pay attention as this toy is used because the button could be a choking hazard. 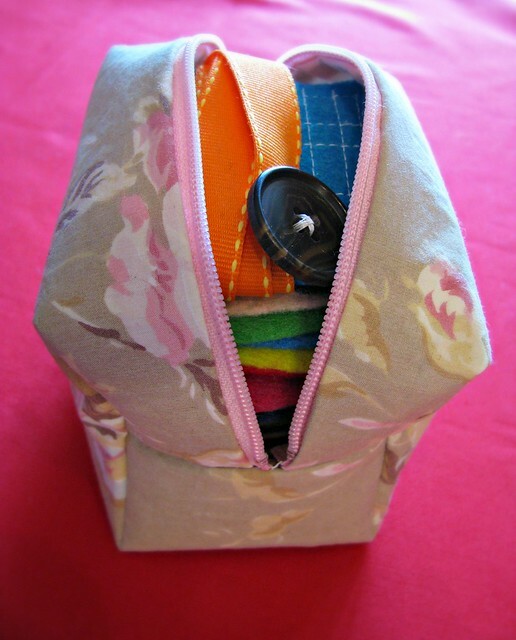 I made a little case for this one to keep all the little pieces together. 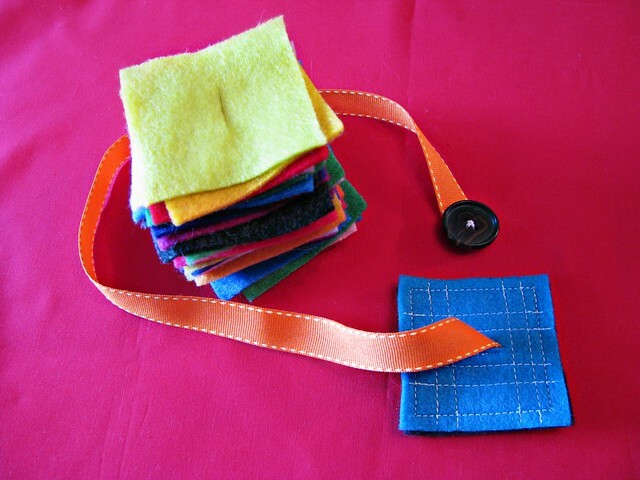 Tag blankets are great for babies and so quick to make! These are a good size for babies to hold, and the minky fabric on the reverse is so soft and cuddly! 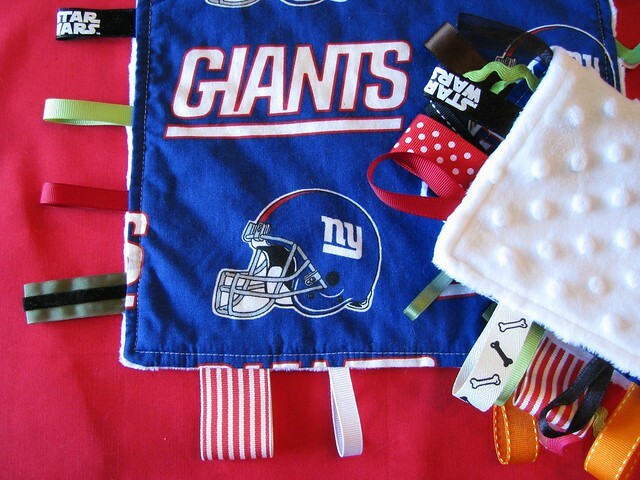 I made these with their parents’ favorite football team in mind, because these baby boys are going to be watching some football this season! For extra security, I triple stitch when sewing the blankets and ribbons together, then top stitch around the top to “catch” the ribbons in place. 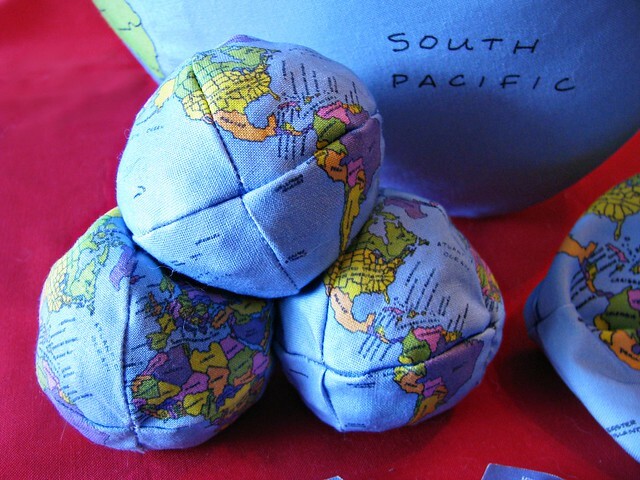 And this one is still a work in progress – globe stuffies! 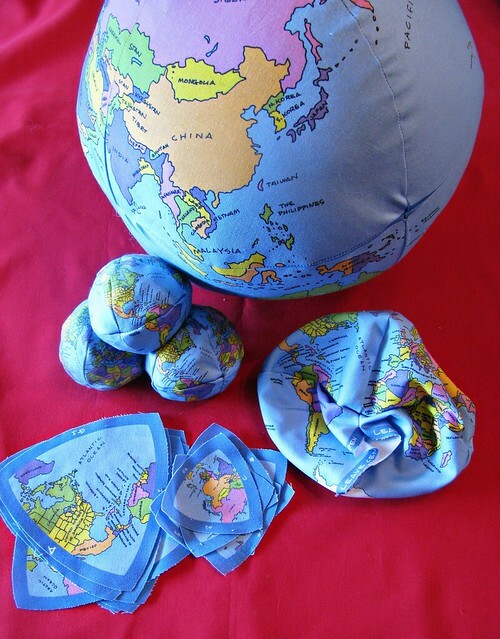 For $18 dollars for a yard of “globe fabric” (found on Spoonflower by Weavingmajor) you can make one 12″ globe, three 6″ globes and four 3″ globes that are perfect for juggling or hacky sack. Those little globes are fun to toss around! With all the electronic diversions surrounding them, quiet toys that inspire creativity are very much needed in little ones’ lives. 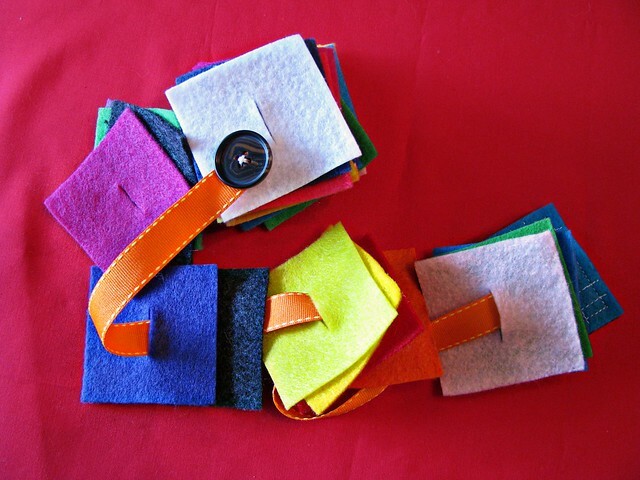 Share your craftiness with the tiny ones in your life! Inspiration is a lovely thing! :) So glad you found things you liked! Hi! I can’t find how to contact you via email…maybe I’m missing it? But I am asking permission to use a picture from the page and link to it from my blog for a post I am working on. My email is cptfussybuckets at gmail. Thanks! !